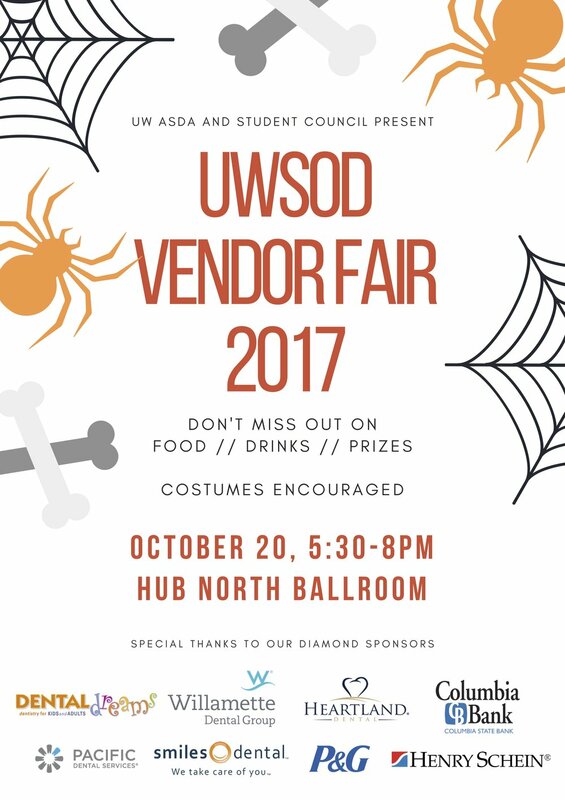 UW ASDA works closely with Student Council to put on the UWSOD Vendor Fair! If you are a vendor and would like to participate, please contact Ali Shareef at sshareef@uw.edu. Want to be in the Fundraising Committee? Contact Ali Shareef at sshareef@uw.edu!